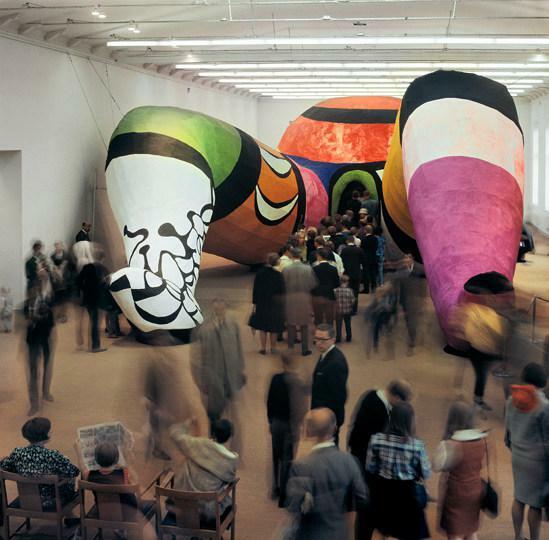 Niki de Saint Phalle is best known for her colourful, voluptuous goddesses, her shooting paintings and the spectacular exhibition SHE - A Cathedral at the Moderna Museet in 1966. 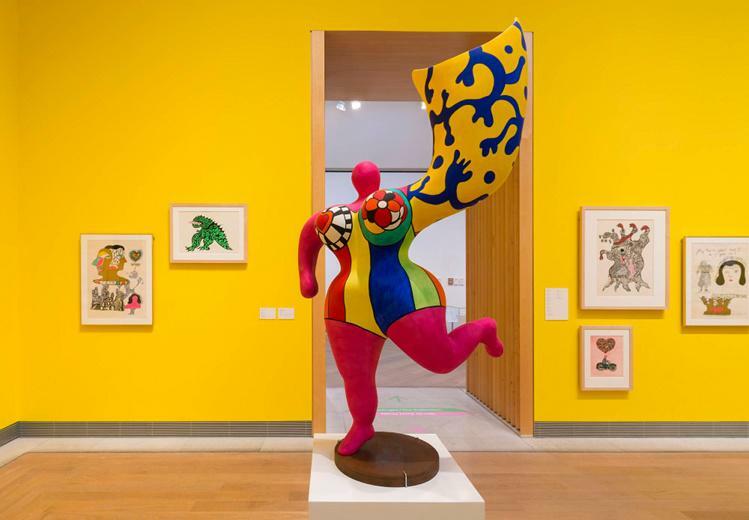 The exhibition Niki de Saint Phalle: The Girl, the Monster and the Goddess reflects her seminal role in art history, while also shedding light on a previously overlooked side of her oeuvre. 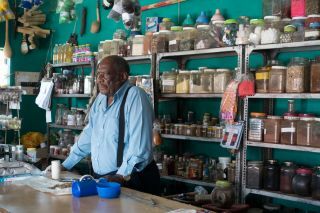 The life-affirming goddess is juxtaposed with the girl and the monster in the film Daddy, where Niki de Saint Phalle avenges darker aspects of her childhood. 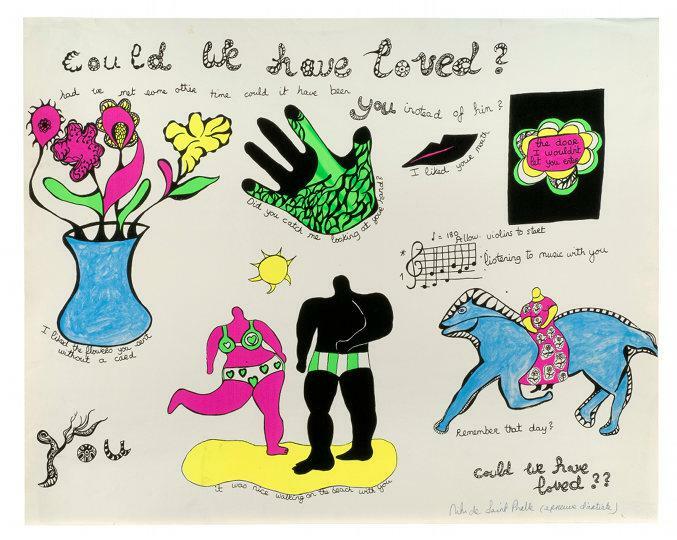 In 1960, when most women were still barred from having a career, Niki de Saint Phalle (1930-2002) left her husband and two children in order to devote herself to art. 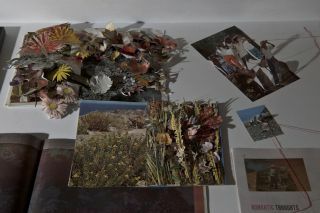 Shortly after, she made her first shooting paintings (Tirs), where capsules embedded in a layer of plaster were shot and exploded their paint across the work of art, like blood. 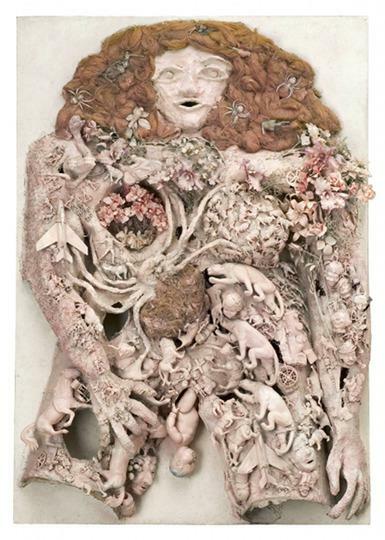 Her shooting paintings were widely acknowledged, and Niki de Saint Phalle developed them into large-scale reliefs and altarpieces against the hypocrisy of the church and the devastating omnipotence of the patriarchy. For the actual shooting, she wore special white overalls. Aiming her gun at the work of art, she portrayed a female version of a fairytale hero, or as a super-heroine of her contemporary adventure genre; populated by characters such as Emma Peel or Modesty Blaise. 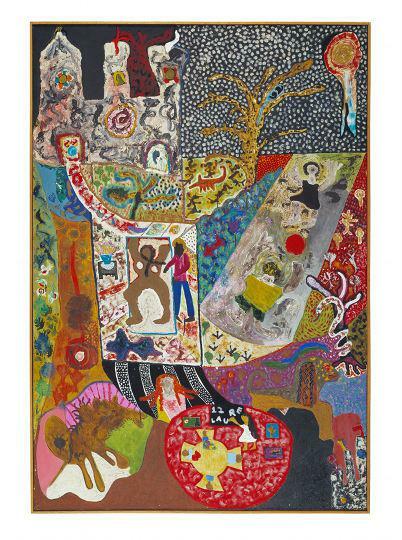 ‘Throughout her career, Niki de Saint Phalle returned to the personal scars and traumas that had once made her choose the artist profession. 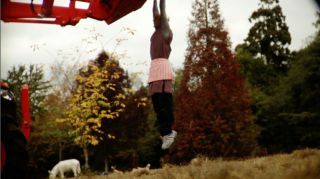 In the film Daddy, and in the artist book The Devouring Mothers, we meet her as a small child, trying to relate to her father who is unable to restrain his pathological desires. 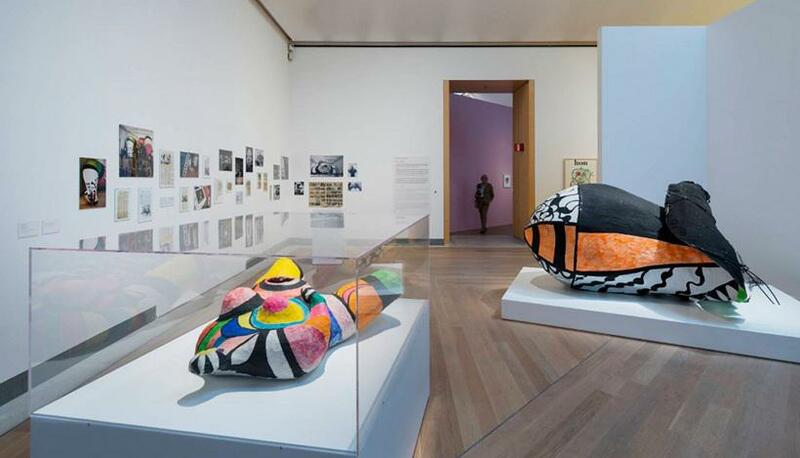 Using her imagination and mythology, Niki de Saint Phalle managed to appease her own inner demons, while revealing the connection between the intimately private domain and global gendered power structures,’ says the exhibition curator, Joa Ljungberg. 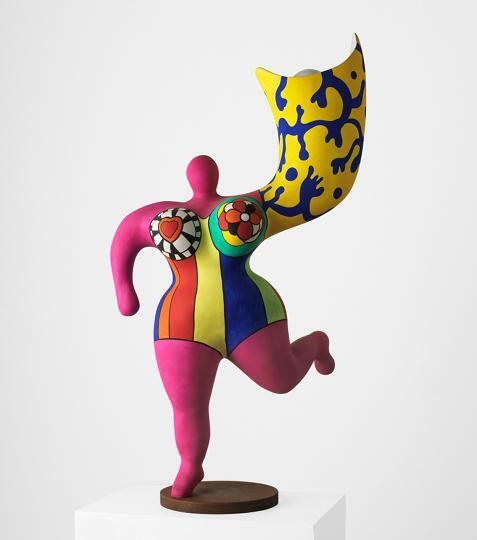 In the early 1960s, Niki de Saint Phalle made her international breakthrough. She was the first and only woman to be included in the Noveau Réalisme artist group, alongside artists such as Arman, Christo, Yves Klein, Jean Tinguely and Jacques de la Villeglé. 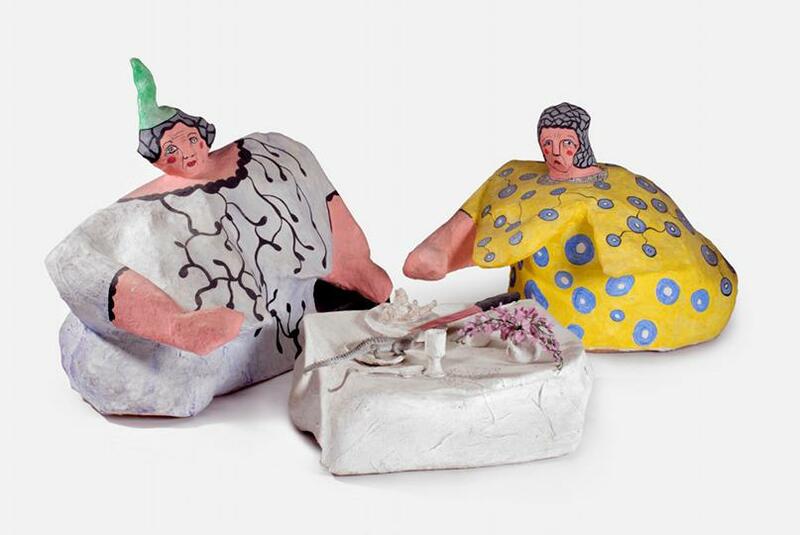 In 1961, she had her first solo exhibition in Paris, became friends with the artist duo Jasper Johns and Robert Rauschenberg, and participated in the group exhibition The Art of Assemblage at the Museum of Modern Art in New York. 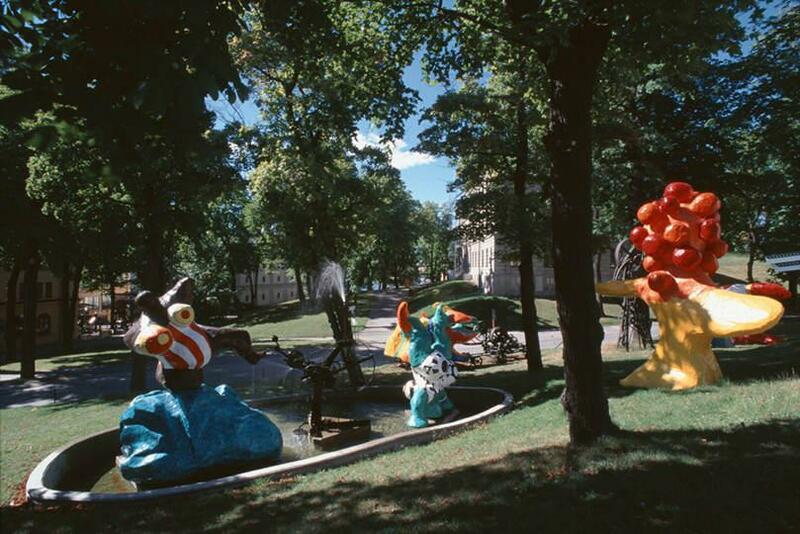 Thanks to donations from the artist herself and the former museum director Pontus Hultén, the Moderna Museet today has a collection of Niki de Saint Phalle that reflects both her unique creativity and her psychological depth. 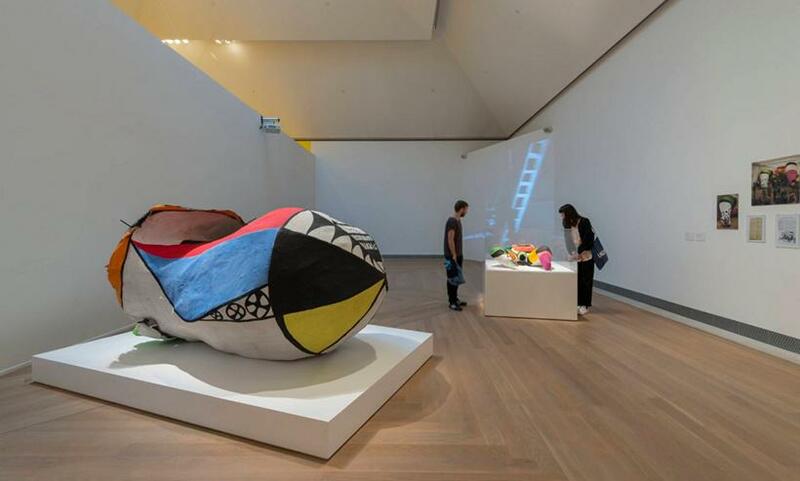 Niki de Saint Phalle: The Girl, the Monster and the Goddess features most of these works, together with archive material, a newly produced documentary film and complementary works on loan.